Since our launch in 2000, Bulletproof Suspension has been a widely recognized, leading manufacturer of high-quality suspension systems for lifting trucks and SUV’s. With more than 80 years of combined experience in design, fabrication, installation, and the use of suspension kits, the Bulletproof Suspension team lives and breathes custom Fabrication and building amazing rides. Bulletproof Suspensions have been featured on more than 30 magazine covers and countless tech articles. Bulletproof Suspension is also proud recipient of the 2002 GM truck award. In 2007 we won the Ford product excellence award at SEMA. Bulletproof Suspension kits are the real deal, don’t settle for anything less. Unbeatable durability. We use heavy wall DOM and ¼” or thicker plate to take most any off road abuse. We take great pride in the finish and appearance of our suspension kits. All welds are clean and smooth, the whole package looks great with a powder coated finish. We use high-grade heim joints that are exceptionally strong and provide long life. The geometry of our suspension kits maintains many of your vehicle’s factory specifications for safety and performance, while increasing the caster gain for improved handling. We use extra heavy-duty ball joints, another evidence of our going for overkill on the ruggedness. Bulletproof Suspension kits are alignment friendly. Most any shop can easily align them. All suspension kits come with a lifetime warranty, no matter how extreme the off road usage. Ask us about the details. Bulletproof Suspension offers a life time warranty on any parts manufactured by Bulletproof Suspension Inc. This warranty is transferable. 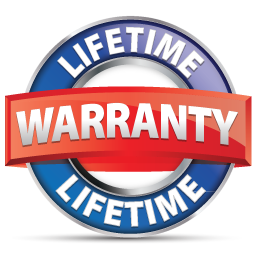 The life time warranty doesn’t include any wearable parts/items like Power Coat, Ball Joints, Uniballs, Heim Joints or bushings. It also will not cover parts not manufactured by Bulletproof Suspension Inc, like Coil springs, Shocks, Coil Overs, Leaf Springs, bolts, Drive lines. If you have a warranty claim you will need to take pictures of the broken part or parts still on the truck/suv as well as a couple of the truck/suv, and email the pictures to miller@bulletproofsuspension.net or bryan@bulletproofsuspension.net. Make sure to include your contact information and shipping information. Once we have the pictures we will contact you to go over the process from that point. Returns are only expected if the kit has not yet been installed on the the vehicle, there is a 35% restocking fee on any and all returns. The original shipping cost is not refunded and the customer would be responsible for the cost of shipping the kit back to Bulletproof Suspension. No refunds will be made until the kit has been returned to Bulletproof Suspension and has been check out and inventory of the parts has been made. As long as all parts are accounted for the refund will be given to accounting, refunds could take up to 5 workings to complete.